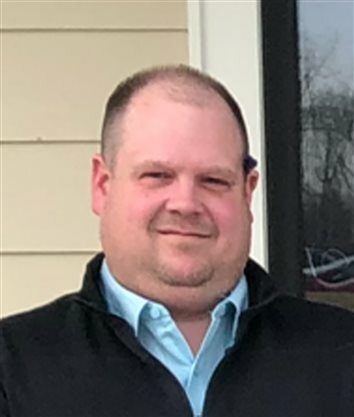 After building custom homes around the country for a quarter of a century, Tim Merchant and Chad Leap of Skyline Builders saw a need for quality roofing in Kosciusko County. From there, Roof King was opened on South Detroit Street in Warsaw. 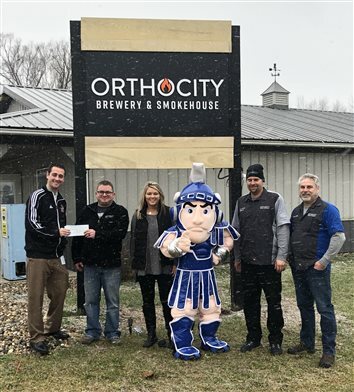 Recently, OrthoCity Brewery & Smokehouse dedicated a percentage of one day's profits to benefit the Warsaw Evening Optimist Club. 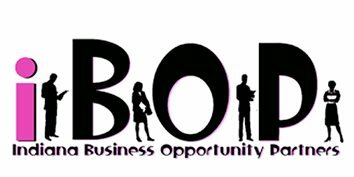 Indiana Business Opportunity Partners will hold its Seventh Annual “Spring Bling” Bazaar & Charity Quarter Paddle Auction for The Magical Meadows on March 23 at the Baker Youth Club in Warsaw. 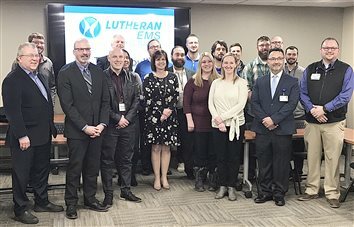 Lutheran Health Network KCH will host guest speaker Dr. Rudy Kachmann, neurosurgeon and wellness expert, on the KCH medical campus at 11 a.m. today in the KCH Administration Classroom. 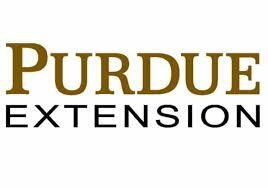 A seminar for farmland owners to learn management strategies will be held at 6:30 p.m. March 26 at the Purdue Extension Kosciusko County Office, 202 W. Main St., Warsaw. Menards home improvement stores across the nation are serving as a drop site for local food pantries during March. 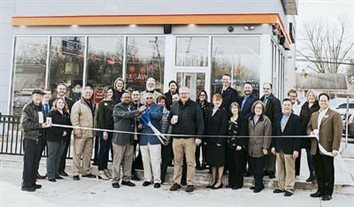 A grand opening and ribbon-cutting ceremony featuring Warsaw Mayor Joe Thallemer was held at the new Dunkin’ in Warsaw Friday morning. 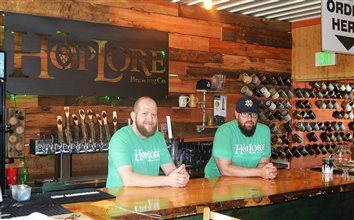 The store, at 2234 E. Center St., had a soft opening in February before Friday’s festivities. 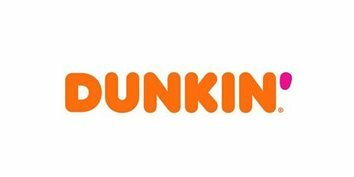 Warsaw Mayor Joseph Thallemer will officiate an opening ceremony with a coffee toast at the new Dunkin’ restaurant Friday. 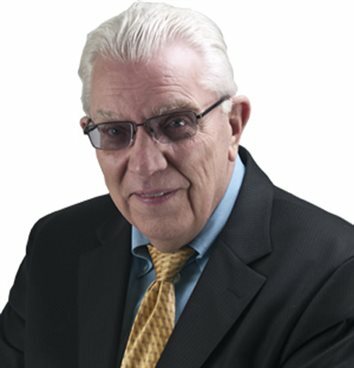 George Robertson, former Kosciusko County Economic Development Corp. president, died Saturday after battling cancer. He was 71. Local representatives of KGP Telecommunications Inc. today detailed plans to support workforce affected by a recently announced reduction in positions at the company’s Warsaw operations. 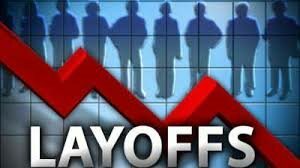 KGP Logistics, with two facilities in Warsaw, filed a Worker Adjustment and Retraining Notification Friday with the Indiana Department of Workforce Development, notifying the agency the company will lay off 300 workers on April 17, or within two weeks of that date. Kosciusko Leadership Academy cadets recently received an overview of health care in Kosciusko County at Kosciusko Community Hospital. Harting Furniture Gallery is going out of business after 86 years and will start its store-closing sale on Thursday. 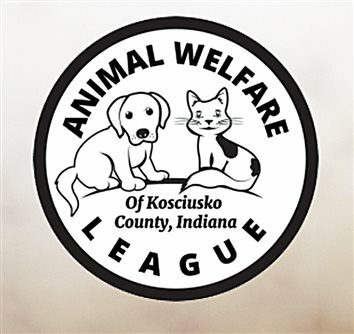 The 2019 North Webster-Tippecanoe Township annual banquet will be March 11 at The Owl’s Nest, 7369 E. CR 800N, North Webster. 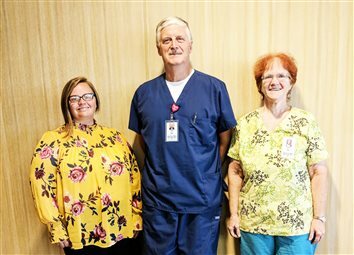 An open house to celebrate the opening of a “refreshed” birthplace at Lutheran-KCH Hospital, 2101 E. DuBois Drive, Warsaw, is planned from 12:30 to 6:30 p.m. Wednesday. With a new year came a new area of focus from a fairly new CEO for the Kosciusko County Economic Development Corp. 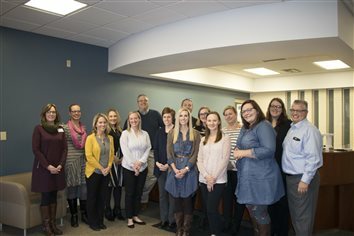 The Kosciusko Chamber of Commerce, in partnership with The Kosciusko County Community Foundation and United Way, has formed a Child Care and Early Learning Coalition to help families in the county access high-quality and affordable child care/early learning options for children to age 5. 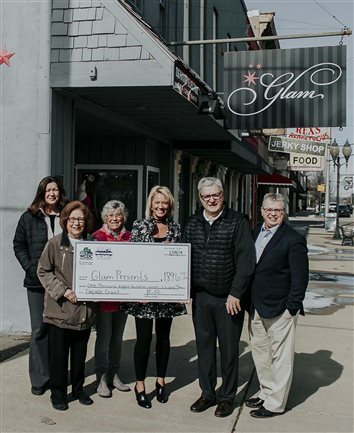 Each year the Kosciusko Board of Realtors and its affiliate members take the opportunity at their Annual Christmas Party to embrace and support a local Kosciusko County charity. Here at 212 Media Studios, we believe our local nonprofits are the glue of this community. 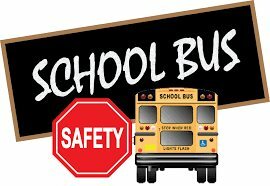 They work year-round to make sure everyone in Kosciusko County has the opportunities and resources they need to thrive. It’s easy to take everything they do for granted—and most of the time, their hard work goes unnoticed. 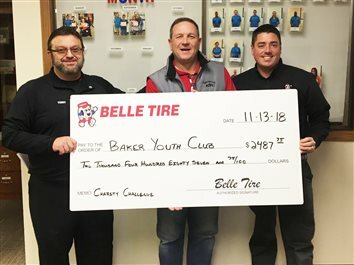 VIA Credit Union’s staff paid $3 to wear jeans on Fridays and Saturdays during December. As a result, Becky Stevens (L) and Tracy Speigle (R) from Via Credit Union’s Warsaw branch recently presented a $250 donation to John Parker of Combined Community Services from the funds raised. Financially Speaking, What’s Keeping You From Protecting Your Family’s Future? Think about your loved ones. What will their future be like? Can you picture them living in your house many years from now? Can you picture your children going to college? Can you picture your spouse enjoying a comfortable retirement? A donation from the Zimmer Biomet supply chain management team is helping students at Warsaw Community Schools. Two Warsaw orthopedic companies exchanged press releases this week regarding a 19-month-old lawsuit that saw additional action taken in the last week of 2018. 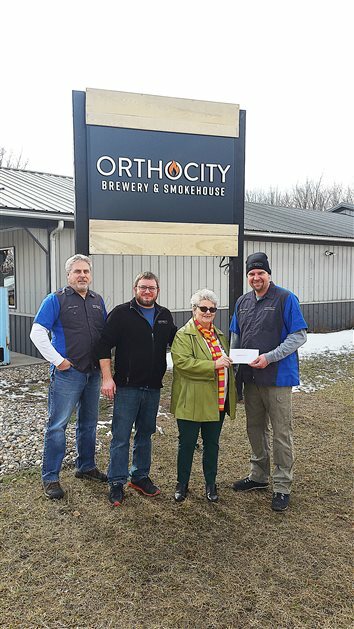 Orthocity sponsored a give-back night for Jefferson Elementary in October. Kosciusko Leadership Academy cadets got an overview of the orthopedic industry in Kosciusko County at the Ivy Tech Orthopedic and Advanced Manufacturing Training Center (OAMTC) facility. 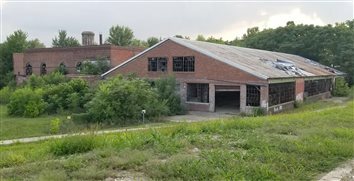 The old Gatke property – vacant for roughly three decades – appears to be closer than ever to being redeveloped. Kosciusko Leadership Academy cadets got an overview of philanthropy in the county from Kosciusko County Community Foundation CEO Suzie Light at the last KLA meeting. Hallmark Home Mortgage recently had a ribbon-cutting at its new office at 523 S. Buffalo St., Warsaw. 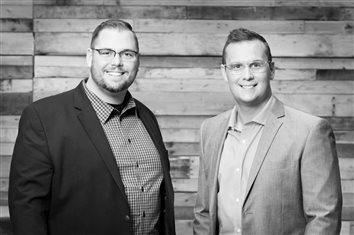 Spur Interactiv, a digital marketing and ad-tech agency co-founded by Wawasee High School graduates Alex and Reed Smith, was selected by the Indiana Economic Development Corporation to receive a $50,000 training grant and up to $350,000 in Economic Development for a Growing Economy (EDGE) tax credits. 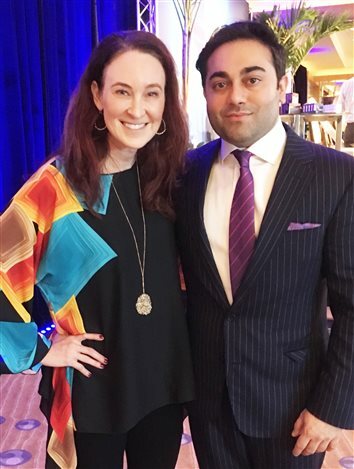 Jennifer Kauffman of Kauffman Medi Spa Inc., recently participated in The Aesthetic Blueprint conference. 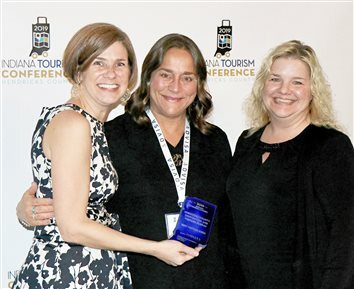 The three-day intensive educational session was held in Fort Lauderdale, Fla.
Warsaw native Dr. Rick Sasso was awarded at total of $112.4 million in a lawsuit against Medronic tried this month in Marshall County Circuit Court in Plymouth. The trail concluded Thursday. 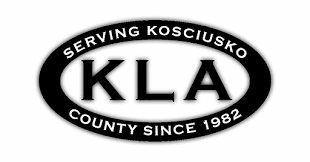 Community leaders recognized retiring Kosciusko Economic Development Corp. President George Robertson at an event Tuesday co-hosted by KEDCo and the Kosciusko Chamber of Commerce. 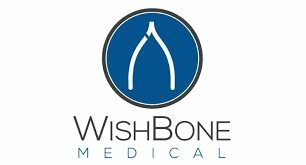 WishBone Medical Inc. of Warsaw announced today the acquisition of Response Ortho of Fort Lee, N.J.
Belle Tire Distributors Inc. presented donations to the five participating charities of the Warsaw Choose Your Charity Challenge, a program that took place for two months following the store’s grand opening event. SpartanNash Co. announced this morning it has reached an agreement to acquire Martin’s Super Markets by the end of this year. 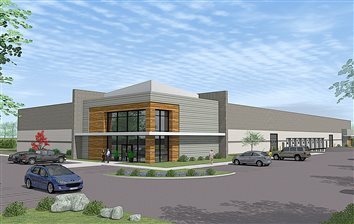 Warsaw’s Technology Park might have begun quietly, but is seeing its biggest growth spurt to date. Community leader and Grace College benefactor Mary Louise Miller was inducted into The Indiana Academy Monday evening. While Sears Holdings is making headlines nationally for its financial woes, in Warsaw the Sears Hometown Store is doing well because of relatively few ties to the failing corporate giant. McHatton-Sadler Funeral Chapels recently donated $1,000 to God’s Highway to Heaven food pantry in recognition of Hunger Action Month. 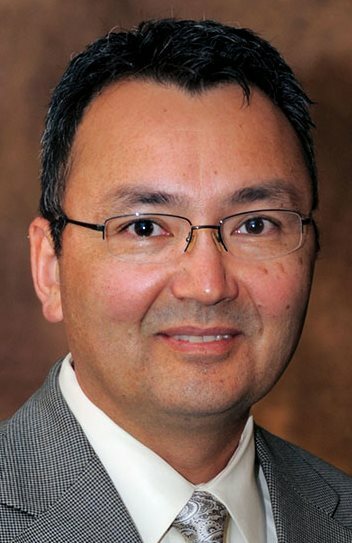 Kosciusko Community Hospital Board of Trustees has selected Jae Dale as its new chief executive officer, effective Oct. 15. There have been several reports of fraud involving customers of Interra Credit Union, 1401 S. Huntington St., Syracuse, in the last couple of weeks, according to Syracuse Police Chief Jim Layne. 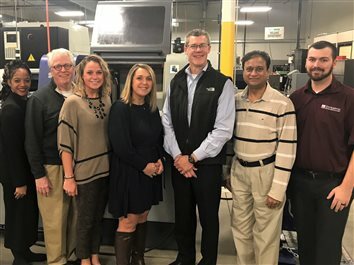 OrthoWorx announced Tuesday a new, expanded talent development initiative that will focus on promoting careers in local manufacturing companies to eighth-grade students in Kosciusko County. 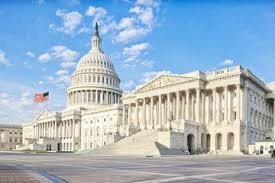 The Senate Foreign Relations Committee voted unanimously to support the nomination of Leesburg resident Kip Tom as ambassador and U.S. representative to the United Nations Agencies for Food and Agriculture. 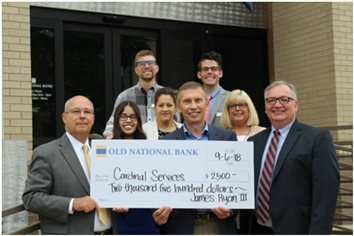 Officers of Cardinal Services recently accepted a check for $2,500 from Old National Bank as the signature sponsor of the 2018 Cardinal Call fundraising luncheon. 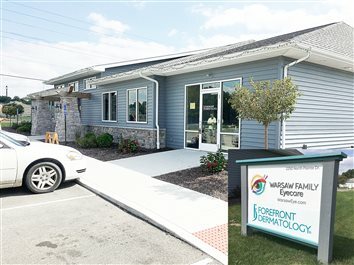 Forefront Dermatology announced the planned opening of its Warsaw office, offering convenient access to expert board-certified dermatology care. 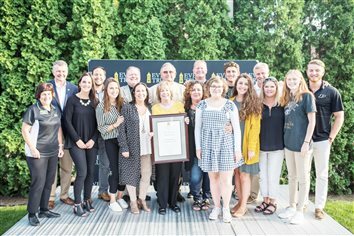 Terry and Sandra Tucker, of Maple Leaf Farms, were awarded one of Purdue University’s highest honors on Aug. 30. After 31 years at the same Winona Avenue location, Collier’s Heating and Air Conditioning announced Tuesday it will be moving to a new location near Ind. 15 and U.S. 30. After receiving several Form 483 letters from the Food and Drug Administration to bring a list of items into voluntary compliance, the FDA sent Zimmer Biomet a warning letter late last month regarding corrections that need to be made at the company’s North Warsaw campus. 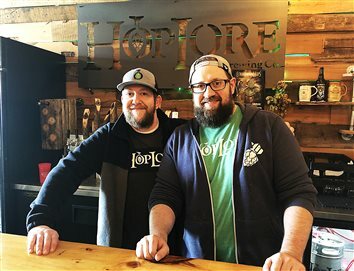 Since opening Memorial Day weekend in 2017, HopLore Brewery & Restaurant has not only continued to grow its customer reach but also has evolved the craft beers it offers. 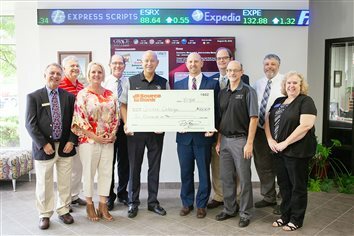 1st Source Bank recently presented a $10,000 check to Grace College for ongoing support of a stock ticker and data display in the School of Business. 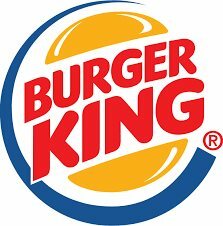 After a month of construction, the remodel is complete at the Burger King restaurant at 5202 E. CR 1200N, Syracuse. 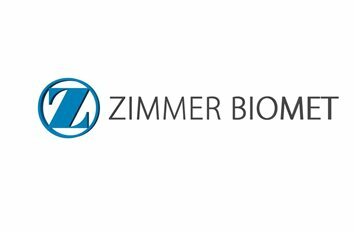 Zimmer Biomet has said it will respond to a warning letter from the Food and Drug Administration over violations found in a 2016 inspection of its northern campus at the old Biomet headquarters. 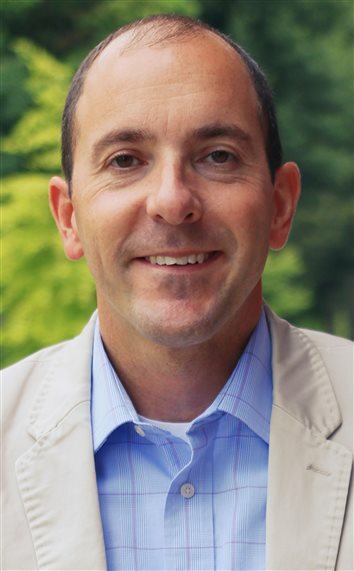 Tio Tabbed To Replace Robertson At KEDCo. 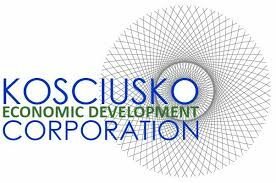 The board of directors of Kosciusko Economic Development Corp. announced Alan Tio will join the organization next month as CEO to lead the community’s economic development efforts. 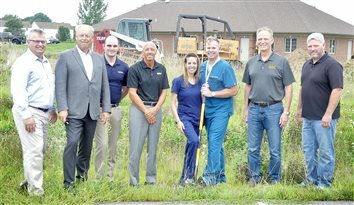 Peak Performance Orthopedic and Sports Physical Therapy, PC, broke ground on their new facility at 2240 North Pointe Drive on Wednesday. 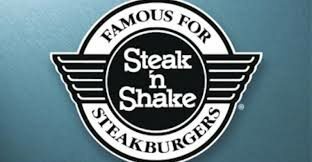 Construction is expected to be complete by the end of November. 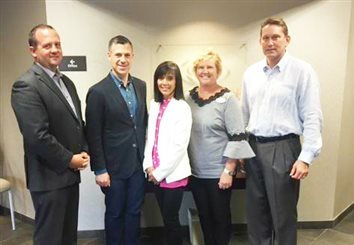 Congressman Jim Banks (Indiana House Rep 3rd District) visited the remodeled Grossnickle Eye Center recently. 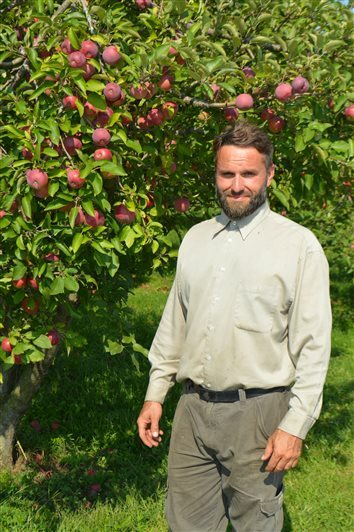 Adam Pamer was sitting in his truck in his driveway next to his orchard to keep out of the rain when the tornado came through Warsaw on Aug. 6, uprooting about 35 of his 600 apple and seven pear trees. 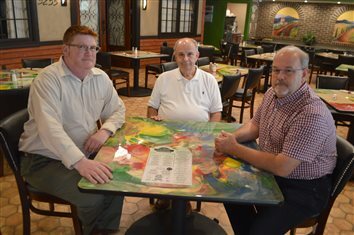 Palette, An American Eatery is open for business at the Wyndham Garden Hotel at 2521 E. Center St. in Warsaw. 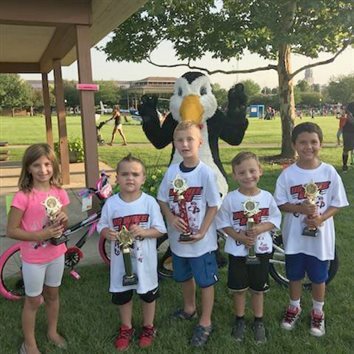 Penguin Point announced its Big Wheel winners.